Know Bakersfield Class of 1966 graduates that are NOT on this List? Help us Update the 1966 Class List by adding missing names. Susie Tanaka. She lived on my street and we were besties for 4 years of High School. She was born in Manchuria as China took over. She could not speak English at first. We talked through drawing pictures and acting out.. I have searched for her for 30 years. I want to see her again. Someone told me she married and moved to Southern CA. My email is x_centric_me@yahoo.com if anyone has any info. More 1966 alumni from Bakersfield HS have posted profiles on Classmates.com®. Click here to register for free at Classmates.com® and view other 1966 alumni. 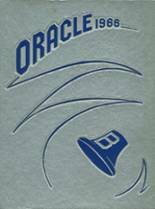 Missing some friends from Bakersfield High that graduated with you in 1966? Check the list below that shows the Bakersfield class of '66.